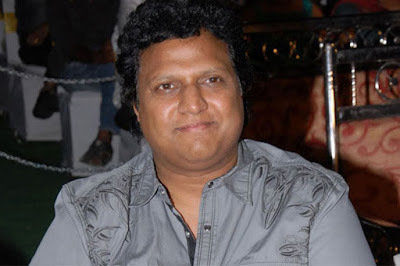 Mani Sharma told that "Sometimes I experiment with songs. Ramma Chilakamma was one of them. Chiranjeevi garu said 'no' to the song when he listened to it first. As he rejected the song, I have recorded another song. But all the dancers in the sets have listened both the songs and they have voted for Ramma Chilakamma. As many told Chiranjeevi garu about the song, he also agreed for Ramma Chilakamma. The song went on to become a chartbuster later. It's not possible to compose that kind of song again.. wonders will happen automatically and unexpectedly. Even though offers decreased for him when compared to the past.. Mani Sharma is saying that he will not compromise on music. He will compose music in his own style. He said that "Story is important for me. Due to the involvement of heroes, music is missing the story & proper occasion. This has increased the pressure on music directors. That's the reason why I'm working with small directors and doing small budget films. I'm working on Sriram Aditya's 'Samanthakamani'.. Hanu Raghavapudi 'LIE'..and few other projects". "Young directors are asking for good music based on the story. Listen to my songs in the upcoming releases. If you say that.. tunes.. lyrics are not good, I will immediately retire. There is no need to fold my hands before somebody. I'm not living on anybody's mercy".